A T206 Honus Wagner Baseball Card. A 1983 Toyota Land Cruiser FJ40. 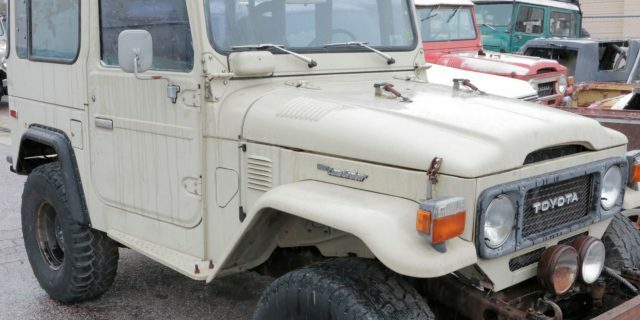 With less than 300 brought into the United States, this 1983 FJ40 is a rare bird (see pics below). We just took ownership of this FJ40 and we haven’t even dusted it off or washed it. © 2011-2015 Red Line Land Cruisers and Red Line Motorsports LLC. All Rights Reserved.